2. What Day of the Week is Agatha Christie Most Likely to Murder You On? Probably not really a crime fiction title, or at the very boundaries of the genre. This is so obviously a book with a message. It comes through the narration and the characters as well as in the "Author's Note", the bibliography, and the blurb. one of the most fearless writers of our time—tackles a complicated issue in this gripping and nuanced novel. How do we balance the rights of pregnant women with the rights of the unborn they carry? What does it mean to be a good parent? A Spark of Light will inspire debate, conversation . . . and, hopefully, understanding. I found the narrative structure a challenge and was tempted at times to read the chapters in reverse order so that I could get the events in the right order. In the long run I continued to read in the order as published. The structure did give the author considerable flexibility in the presentation of background detail on every character that we met. There were a couple of twists to the story that I was not expecting and they were cleverly done. A worthwhile read. During the 10 year life of this blog I have not reviewed a novel by this author even though she has written a massive number of books - that is why I have used the "new to me" label. 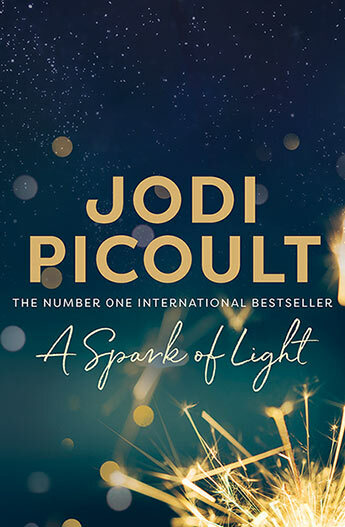 Jodi Picoult, 52 , is the bestselling author of twenty-four novels: Songs of the Humpback Whale (1992), Harvesting the Heart (1994), Picture Perfect (1995), Mercy (1996), The Pact (1998), Keeping Faith (1999), Plain Truth (2000), Salem Falls (2001), Perfect Match (2002), Second Glance (2003), My Sister's Keeper (2004), Vanishing Acts (2005), The Tenth Circle (2006), Nineteen Minutes (2007), Change of Heart (2008), Handle With Care (2009), House Rules (2010), Sing You Home (2011), Lone Wolf (2012), The Storyteller (2013), Leaving Time (2014), and the YA novels Between The Lines (2012), and Off The Page (2015), co-written with her daughter Samantha van Leer. Her last ten novels including her highly acclaimed novel, Small Great Things (2016), have debuted at number one on the New York Times bestseller list. Her twenty-fifth novel, A Spark of Light, will be published October, 2018. 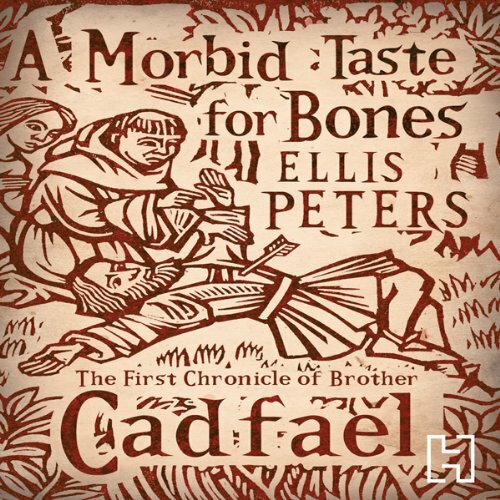 Canny, wise and all too worldly, Cadfael isn't surprised when this taste for bones leads to bloody murder. The leading opponent to moving the grave has been shot dead with a mysterious arrow, and some say Winifred herself dealt the blow. Brother Cadfael knows that a carnal hand did the killings, but he doesn't know that his plan to unearth a murderer may dig up a case of love and justice, where the wages of sin may be scandal - or his own ruin. I chose this book because it is the first of the series. My fellow listener and I are already familiar with the Brother Cadfael character, having watched the TV series with Derek Jacobi playing the leading role, decades ago. We have also been to Shrewsbury on one of our trips to the UK. These novels are a lovely reminder of a historical period which was a turbulent time at the end of the Middle Ages. Brother Cadfael lives in Shrewsbury, returned from the Crusades, and now a monk and a herbalist. In some senses his mysteries are very ordinary investigations, but they are imbued with a strong sense of history, and sometimes with a touch of romance. 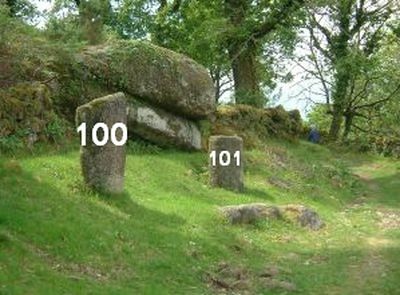 In this story Brother Cadfael is part of an expedition to his native Wales to "liberate" St Winifred's bones which apparently have been neglected by the people who live in the village near where she is buried. The locals are understandably upset at the incoming Englishmen who have come to steal the bones and take them back to England. The first in quite a long series of books, there is a lot of introductory material about Cadfael, his background, and those who live with him in the Shrewsbury monastery. At just over 7 hours this is a good title to be listened to over a couple of travelling weeks. The title was #10 in the series, I listened to it back in 2010, with the same narrator. 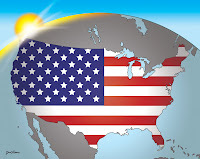 See more about Ellis Peters titles that I had read before beginning this blog. Emma Cardwell, celebrity mum and host of top-rating morning TV show Cuppa, seems to have it all: fame, money and a gorgeous family. But when her little girl disappears from day-care - captured on CCTV footage at a nearby shopping centre leaving with someone Emma has never seen before - her world is turned upside down. As the minutes tick by, and pressure mounts, every part of Emma's life comes under examination. Is this a kidnapping, the work of a crazed stalker, or an obsessed fan? Is somebody out for revenge or is this something closer to home? And there is the aching question: how much do we really know about those who care for our children . . . and about the people we love? When Emma arrives home after a long day she finds that her husband has forgotten to collect their young daughter from child care. But it is now 8 pm so where is Fox? Why hasn't anybody from the child care centre contacted her? The police are called in and despite their best efforts to keep the news low key the television station that Emma works for takes over the management of the publicity. Fox's disappearance turns out to be a publicity bonanza as PJ, Emma's colleague on the morning show, head up a live presentation that focusses on Fox's recovery. 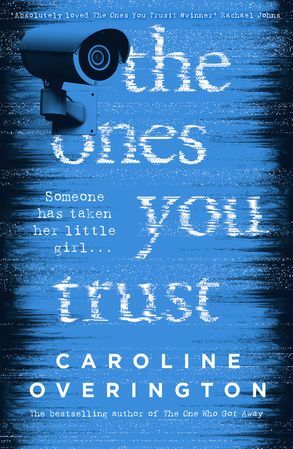 The book has the reader guessing who has been responsible for the kidnapping, perhaps even Emma herself, and the story twists and turns almost unpredictably. I certainly didn't forsee the final explanation. The story takes an almost cynical look at what goes on in the television industry to keep programmes alive, presenters attractive and popular, and fresh stories coming. 4.5, CAN YOU KEEP A SECRET? In an isolated (Australian) country town brought to its knees by endless drought, a charismatic and dedicated young priest calmly opens fire on his congregation, killing five parishioners before being shot dead himself. This novel surprised me with the complexity of the plot. It weaves a number of contemporary threads into the narrative. Some of these are revealed only as Martin Scarsend begins to investigate the ongoing impact of the tragic events that took place in Riversend nearly a year earlier. 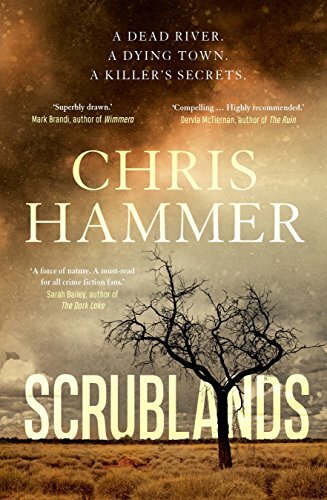 Scarsend himself is "damaged goods" but his boss has sent him to write a human interest story which will perhaps help him get over the trauma he has suffered. Nothing prepares him for the heat of the drought stricken town and for the fact that no-one can tell him why the priest shot five locals. Sooty, sulphurous, and malign: no woman should be out on a night like this . A spate of violent deaths – the details too foul to print – has horrified the capital and the smog-bound streets are deserted. But Rachel Savernake – the enigmatic daughter of a notorious hanging judge – is no ordinary woman. To Scotland Yard's embarrassment, she solved the Chorus Girl Murder, and now she's on the trail of another killer. Flint's pursuit of Rachel Savernake will draw him ever- deeper into a labyrinth of deception and corruption. 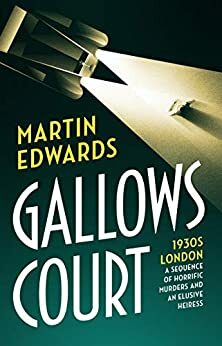 Murder-by-murder, he'll be swept ever-closer to its dark heart – to that ancient place of execution, where it all began and where it will finally end: Gallows Court. At the centre of this novel are two characters: Jacob Flint, a young newspaperman working for The Clarion, a sensationalist daily; and Rachel Savernake, an incredibly wealthy amateur sleuth, the daughter of a judge renowned for his severe punishment and reputed to be mad at the end. We know there is some sort of mystery surrounding Rachel Savernake right from the beginning. We are told so in a journal entry written in 1919 by a Juliet Brentano recording the death of her parents. Subsequent diary entries crop up in the novel and we attempt to reconcile the Rachel Savernake she writes about with the one we meet through Jacob Flint. Jacob has come to head the Clarion's crime desk rather earlier than expected because his boss has been run down by a car and is not expected to live. Jacob is convinced that what happened was no accident and he attempts to work out what Mr Betts was investigating. Everything seems to lead to Rachel Savernake. This was a challenging read, and even at the end when I thought I had worked everything out, how wrong I was! Fantastic Fiction suggests this novel is the first in a series centred on Jacob Flint. Martin Edwards is an Edgar award-winning crime writer whose seventh and most recent Lake District Mystery is The Dungeon House. Earlier books in the series are The Coffin Trail (short-listed for the Theakston's prize for best British crime novel of 2006), The Cipher Garden, The Arsenic Labyrinth (short-listed for the Lakeland Book of the Year award in 2008), The Serpent Pool, and The Hanging Wood. Martin is a well-known crime fiction critic, and series consultant to the British Library's Crime Classics. His ground-breaking study of the genre between the wars, The Golden Age of Murder, has been warmly reviewed around the world. it has won the Edgar, Agatha and H.R.F. Keating awards, and is currently shortlisted for Anthony, Macavity, and CWA Dagger awards. Martin has written eight novels about lawyer Harry Devlin, the first of which, All the Lonely People, was short-listed for the CWA John Creasey Memorial Dagger for the best first crime novel of the year, The early Devlin books are now enjoying a fresh life as ebooks, with new introductions by leading authors such as Val McDermid and Frances Fyfield, as well as other new material. In addition Martin has written a stand-alone novel of psychological suspense, Take My Breath Away, and a much acclaimed novel featuring Dr Crippen, Dancing for the Hangman. The latest Devlin novel, Waterloo Sunset, appeared in 2008. He completed Bill Knox's last book, The Lazarus Widow. He has published many short stories, including the ebooks The New Mysteries of Sherlock Holmes and Acknowledgments and other stories. 'Test Drive' was short-listed for the CWA Short Story Dagger in 2006, while 'The Bookbinder's Apprentice' won the same Dagger in 2008. A well-known commentator on crime fiction, he has edited 28 anthologies and published diverse non-fiction books, including a study of homicide investigation, Urge to Kill.An expert on crime fiction history, he is archivist of both the Crime Writers' Association and the Detection Club. He was elected eighth President of the Detection Club in 2015, and posts regularly to his blog, 'Do You Write Under Your Own Name? Yesterday I recorded my 100th book read this year. Doing well, as I had only aimed at 110. Almost nothing other than crime fiction, of course. If you are interested in the nitty gritty then visit Reading Challenges Updates. When a big movie production comes to Cherringham, complete with lords, ladies, and flashing swords, the whole village is abuzz with excitement. But when a series of dangerous accidents threatens the life of the young lead, Zoe Harding, Sarah and Jack get involved. Are these really accidents? Or could they be something more sinister - even deadly? Who is trying to destroy the career of the beautiful young star - and why? 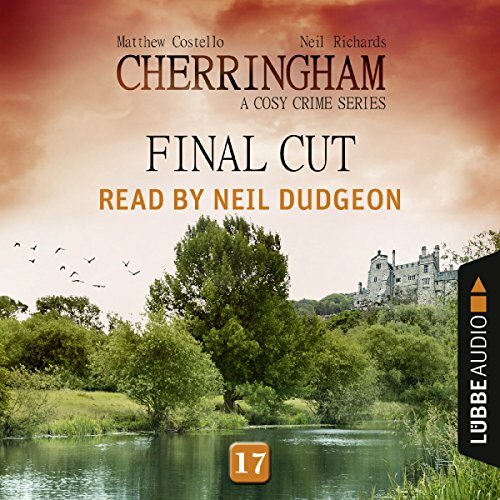 Judging by my fellow listener's reaction to the ending of this episode in the Cherringham series, I might have "done my dash" here for a while. While the plot was fine, the motives behind the series of accidents threatening Zoe Harding were a bit far-fetched, and in the long run, the ending was a disappointing and a bit lame. The stories are beginning to remind me too much of Midsomer coincidences. Agatha Christie is undoubtedly the world’s best-selling mystery author, hailed as the “Queen of Crime,” with worldwide sales in the billions. Christie burst onto the literary scene in 1920, with The Mysterious Affair at Styles; her last novel was published in 1976, a career longer than even Conan Doyle’s forty-year span. The truth is that it was due to the success of writers like Anna Katherine Green in America; L. T. Meade, C. L. Pirkis, the Baroness Orczy, and Elizabeth Corbett in England; and Mary Fortune in Australia that the doors were finally opened for women crime-writers. Authors who followed them, such as Patricia Wentworth, Dorothy Sayers, and, of course, Agatha Christie would not have thrived without the bold, fearless work of their predecessors—and the genre would be much poorer for their absence. 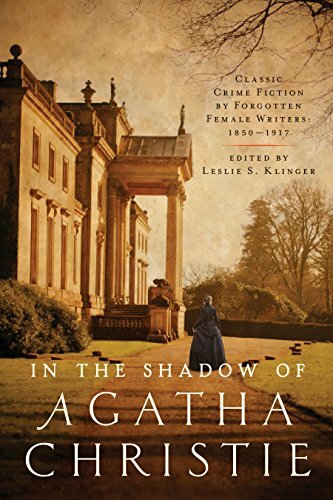 So while Agatha Christie may still reign supreme, it is important to remember that she did not ascend that throne except on the shoulders of the women who came before her—and inspired her—and who are now removed from her shadow once and for all by this superb new anthology by Leslie S. Klinger. The thing that struck me as I read the small biographies for each of these pre-Golden Age female crime fiction writers was how prolific they were, how many novels each one of them had written, how much choice late Victorian readers would have had. Most of them were British, and from a 21st century perspective, many of them were Victorian and rather wordy even cumbersome in style. Agatha Christie would have felt like a breath of fresh air. I don't think I had realised how different readers in 1920 would have found THE MYSTERIOUS AFFAIR AT STYLES. But these writers paved the way for crime fiction by female writers as an acceptable, if not quite literary, genre. An interesting and educative anthology. Leslie S. Klinger is one of the world’s foremost authorities on Sherlock Holmes. He is the editor of the three-volume The New Annotated Sherlock Holmes. The first two volumes, The Complete Short Stories, won the Edgar for “Best Critical/Biographical” work. He is also the editor of the hugely successful The New Annotated H. P. Lovecraft. Klinger is a member of the Baker Street Irregulars and lives in Malibu, California. They were six university students from Oxford - friends and sometimes more than friends - spending an idyllic week together in a French farmhouse. It was supposed to be the perfect summer getaway...until they met Severine, the girl next door. But after a huge altercation on the last night of the holiday, Kate Channing knew nothing would ever be the same. There are some things you can't forgive. And there are some people you can't forget...like Severine, who was never seen again. Who can remember exactly what happened ten years ago? 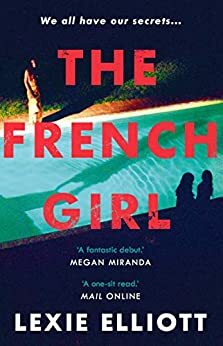 After Kate and her friends returned to England and new careers after their holiday in France, Severine, the girl next door to where they stayed, was declared missing. They were all interviewed at the time to establish a timeline of when Severine was last seen, but she was never found. Now her bones have been found down a well on the property they were staying in. One of their group has died in the war in Afghanistan and the rest have been apart establishing their careers. A policeman has come from France to interview them again, and Kate is made to feel that she is under suspicion. The policeman advises that she should "get a lawyer". Events occurred that night that fractured their group forever and the real significance of some events has never been explored. There is a paranormal element to this story that plays a significant role, but I didn't much like it. Two friends fall under the spell of a New York beauty – with an unexpected outcome. A casual remark is taken seriously by a Chinese sculptor, and the British Ambassador becomes the owner of a priceless work of art . An insurance claims adviser has a most surprising encounter on the train home to Sevenoaks. This marvellous collection of twelve stories ends with a hauntingly written, atmospheric account of two undergraduates at Oxford in the 1930s, a tale of bitter rivalry that ends in a memorable love story. Followers of my blog will have noticed a penchant for Jeffrey Archer short stories just recently. That is simply because they are so good. Sometimes mystery, sometimes just simply quirky, all with marvellously drawn characters. 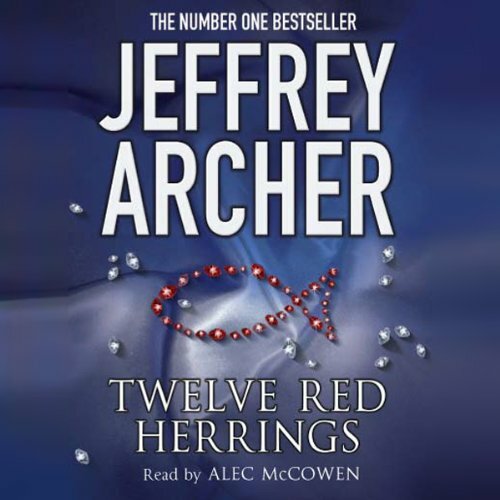 In this collection Archer says that 11 of the stories are based on known incidents and only one is totally the result of his own imagination. Each of them is 20-30 pages long. Just right for a bit of night time distraction. My calculation now is that I have read at least 60 short stories by Archer and he really is the master. An imprisoned man is certain that his supposed murder victim is very much alive; a female driver is pursued relentlessly by a menacing figure in another vehicle; a young artist gets the biggest break of her career; a restless beauty manages the perfect birthday celebration; an escaped Iraqi on Saddam Hussein's death list pays an involuntary visit to his homeland. How will they react? How would you? Twelve Red Herrings is the third collection of irresistible short stories from a master storyteller. Cleverly styled, with richly drawn characters and ingeniously plotted story lines, each of the 12 tales ends with a delightfully unexpected turn of events. The book contains 12 stories. In the preface the author notes that the stories indicated with an asterisk are "based on known incidents (some of them embellished with considerable licence)." Once again a batch of short stories, involving some mysteries, but most are on the edge of crime fiction. This audio production makes good listening particularly as the narration by Alec McCowen is so well done. Each of the stories has an unexpected twist in the final moments. They are all collections of short stories. I seem to have slowed down a bit with my reading in the last month - some of the books were a little longer. 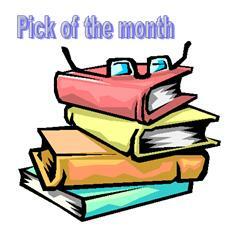 See what others have read this month. It is an invitation to you to write your own summary post for September 2018, identify your crime fiction best read of the month, and add your post's URL to the Mr Linky below.